What is a Public Bank? hubpublicbanking.org is the website for Hub Public Banking's working group. 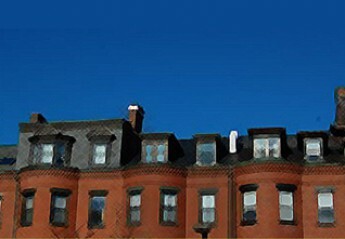 We are individuals in the Boston area who hope to establish a public bank on the state or city level. Our models include the Bank of North Dakota and public banks in other countries, which have put public money, such as property, income, sales and business taxes, fees and fines, to work for the public good, in cooperation with community banks and credit unions. Massachusetts’s infrastructure is substandard, earning a “D” rating from the American Society of Civil Engineers. The Boston Society of Civil Engineers notes bridges, roads, and schools as some areas of particular concern. The situation impacts nearly everyone in the Commonwealth, from delayed and frustrated commuters to businesses weighing the pros and cons of relocating or expanding, to municipal officials who may defer necessary or popular projects because of the difficulty of securing funding. Addressing infrastructure requires adding to the current funding toolkit. In Massachusetts, local taxes, state aid, and state and quasi-public agencies help meet the costs of bringing infrastructure improvements from the drawing board to completion. A public infrastructure bank is a needed, necessary, sustainable and economically sound way to increase current financing sources and meet community needs. H935 and its Senate version S579, “An act establishing the Massachusetts infrastructure bank,” creates a public bank, capitalized by the Commonwealth and offering financing at lower cost to Mass cities and towns, thereby reducing debt burdens, increasing municipal capacity for making improvements, and retaining or creating good-paying jobs. H935 has been filed by Rep. Mike Connolly (D-26th Middlesex), and S549 has been filed by Sen. Jamie Eldridge (D-Middlesex and Worcester). A public infrastructure bank is not a commercial bank: it will not take deposits from individuals or businesses, have no branches or ATMs, and won’t compete with Massachusetts-based banks or credit unions, though it can participate in loans at their request. The interest paid to a state infrastructure bank stays in-state, increasing the bank’s lending capacity, and in cases of natural disasters or other crises, the bank, working for the benefit of the public and not investors, has the flexibility to adapt loan repayment to preserve fiscal stability and the area tax base. Our bill creates an independent and transparent governance structure for the bank, and calls for annual audits and the creation of an independent public advisory committee to ensure that the bank always works for the good of the people of Massachusetts. Its definition of infrastructure includes bike paths, pedestrian walkways, farmland preservation, increasing accessibility of public buildings for differently-abled residents, and projects that increase adaptation and resiliency to climate change, ensuring greener cities and towns and more inclusive public space. For a shareable fact sheet, read and download The Clear Case for a Public Infrastructure Bank. It’s not too late for your state Representative to formally support H.935 and S.579—they can file a letter of support with the House clerk or co-sponsor the Senate version of the bill. There is no deadline for Senators to co-sponsor. Please contact us if you’d like more information or talking points.